With windmilling power chords, driving B4, coruscating guitar skirmishes, and echoes of the freewheelin' rock-a-boogie of the early '70s, the Sights are back -- and they've cut their finest record yet. It's December 2007. The Sights' multi-instrumentalist, Bobby Emmett, has just played his last gig as a member of the group and the tour van has died. Then, to cap it all, the Detroit group's label New Line passes on their next record and it looks like the band are flatlining too. The run, which started with 1999's debut Are You Green?, gathering momentum with both 2002's Got What You Want and their self-titled major label debut in 2005, which saw the group playing 7,000-seat theaters supporting Robert Plant, becoming a buzz band in the NME, and having their songs appear in films like The Wedding Crashers and on TV, is over within the year. Eddie Baranek, the man who started the Sights as a teenager back in the summer of '98, loses confidence in his music, starts drinking heavily, and fritters his time away sitting in with various local bands. "I looked up and I'm playing bluegrass for six people at the Cadieux Café. I was done. I had no songs. Nothing. And I didn't even care," recalls Baranek today. Two years down the line, with a little help from his friends -- most notably Dave Lawson, the Sights' new banjo pickin' bassist and bandmate in fun side-project the Drinking Problem, along with the love of a good woman, Maria Labellearte -- Baranek pulled himself together, began teaching at School of Rock, and, most importantly, started writing and singing his own music again. The two old friends brought in multi-instrumentalist Gordon Smith and ex-Hotness drummer Jim "Skip" Dennome to complete the revised line-up. The result is the self-financed, semi-autobiographical Most of What Follows Is True, the finest record any line-up of the band has cut yet. 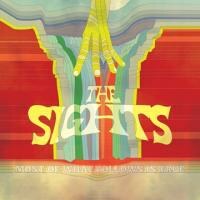 Recorded, like every other Sights album, at Jim Diamond's Ghetto Recorders, the band's fourth shifts the emphasis away from the touchstone mod-psych sounds of the mid-'60s toward the freewheelin' rock-a-boogie of the early '70s. Their chosen musical path echoes with the distant footsteps of the Small Faces/Faces former band members Steve Marriott, with his short-lived supergroup Humble Pie, but especially Ronnie Lane's solo work recorded in one of the first mobile recording studios down on his Welsh farm at Fishpool. Combining the jaunty piano/organ and sing-along tradition of British Musical Hall, Appalachian banjo, and violin with rock 'n' roll, the touching heart-on-sleeve ode to Baranek's girlfriend "Maria", for example, contains the essence of Lane's pioneering sound. Then there's the blue-eyed soul shout, windmilling power chords, driving B4, coruscating guitar skirmishes, and boozy blues rock which provides the album's sweaty counterpoint. Opener "How Do You Sleep?" is an infectious, tight 'n' loose, jamming boogie-party that's continued on the excellent "Guilty" with fabulous pulsating Hammond organ balanced by punchy guest sax by Brad Stern, and the Band-inspired country-blues rock of "(Nose to the) Grindstone". But make no mistake, this is a group effort. The two beautiful, melancholy country-pop songs written by Lawson -- "I Left My Muse" and "Back to You", both with teardrop pedal steel by Pete Ballard -- along with Gordon Smith's sole powerpop outing "Take & Take", fit perfectly within the context of Most of What Follows Is True. Unsurprisingly, these guys have turned out to be honest-to-god rock-a-boogie racketeers.